The Stroke Blog: Selinute: Where I sat in a Greek temple. I've said it before, and I'll say it again, Sicily has the best Greek temples (and Roman mosaics) in the entire world. 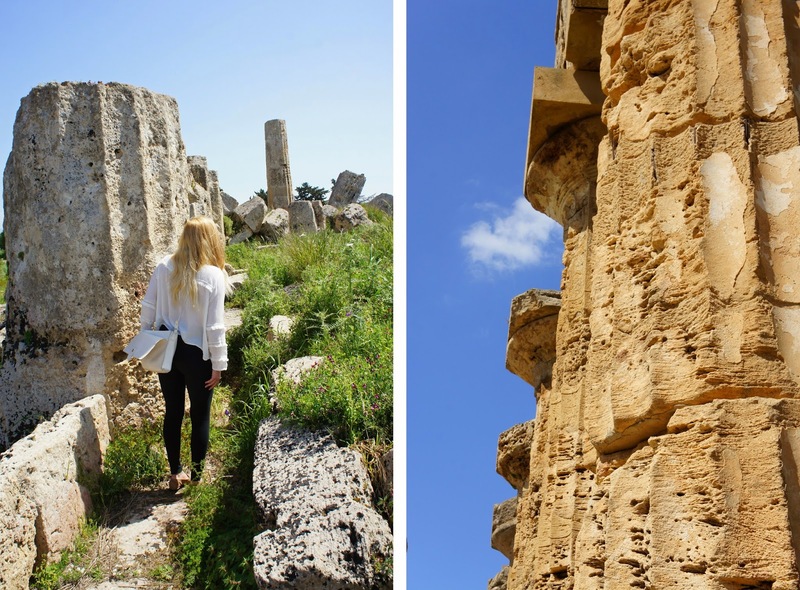 They are incredible, and this ancient Greek city may be the most impressive and surprising of them all. 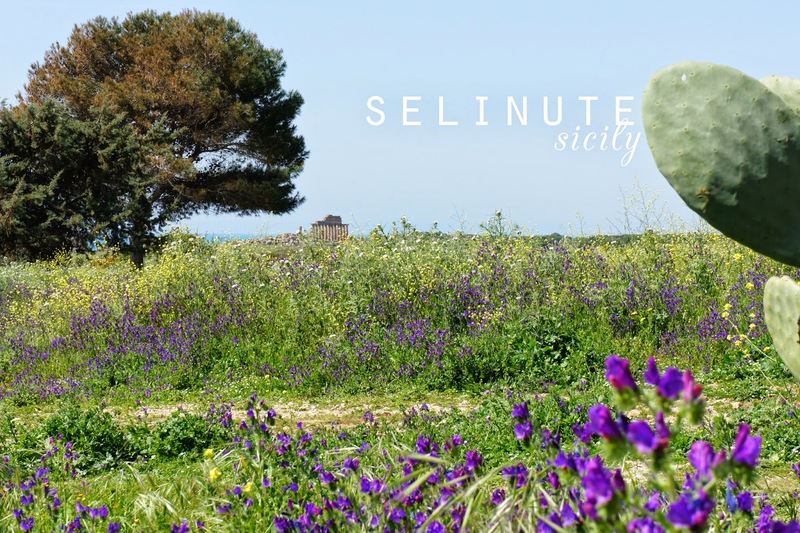 Selinute* is home to five Greek temples and an acropolis set against a dramatic landscape. It's a symphony of vistas: Golden columns perched among wildflowers and olive trees, tumbling down hills to meet the turquoise Mediterranean Sea. And best of all, it's all yours to walk through, stand on, and sit in. It's hard to describe the feeling of taking small, slow steps into a temple and sitting on its floor, gingerly touching its columns, and being in it. Not dog friendly -- or cynophobic friendly. There are some fairly aggressive stray dogs who call this archaeological site home, and don't like when other canines or humans invade their turf. The columns of the temples are infested with bee hives! Luckily, at least the bees aren't aggressive. Allow yourself at least half a day to see the whole thing. Pack a picnic and good shoes -- there's a lot of ground to cover. There are very few interpretive signs, so it's best to bring your own literature. There is a tourist train available to transport you from site to site, if mobility or time are of concern. Entrance fee: 3 euro (under 25) and 6 euro (over 25). Free bathrooms located in the parking lot, by the gift shops. *Can't figure out how to pronounce it? You can use the Greek name, Selinous, instead. So... I really need to go to Sicily. It's decided. Can't recommend it highly enough. Spring is lovely, but the winter is nice and quiet too. I'm sure there are direct flights from Paris ;) Hope all is well on your end! I always find it so amazing when monuments such as this are wide open to the public. We just visited Pompeii and Joe couldn't believe it was left open to the elements. I think it makes it all the more remarkable that they still stand.